Size: approx. 50 mm. Photo: 05/07/17, 5 pm. 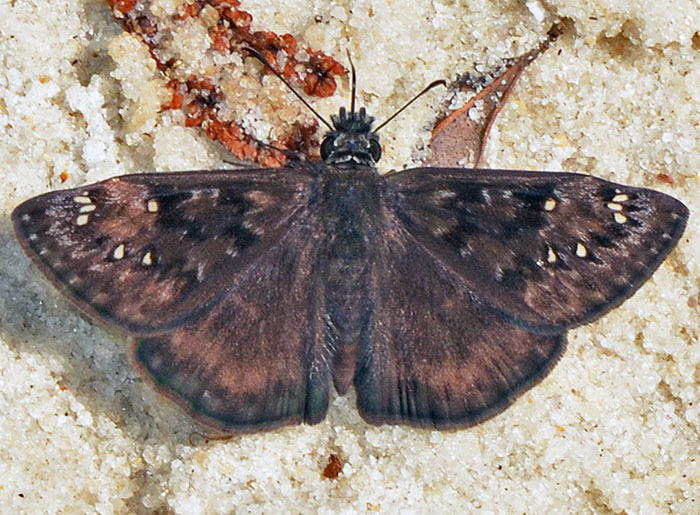 A brownish skipper on a sand pile: Horace's duskywing (Erynnis horatius). 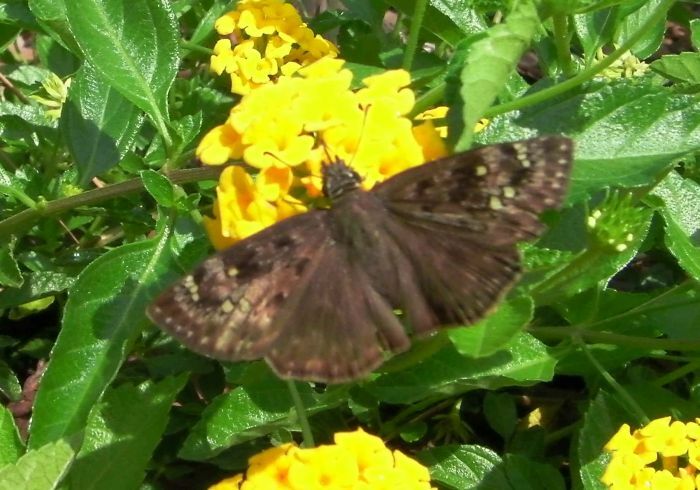 There are many similar looking duskywings (17 in the US) but this one has three white/transparent spots on the wings and an accompanying cluster of four smaller spots. The little photo with latana flowers was taken on 06/25/11 at 10 am.